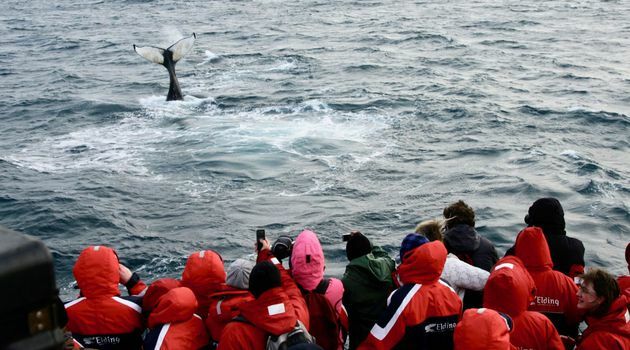 This tour is a winter variation of our Reykjavík Classic Whale Watching. If you are travelling in winter please use this option. 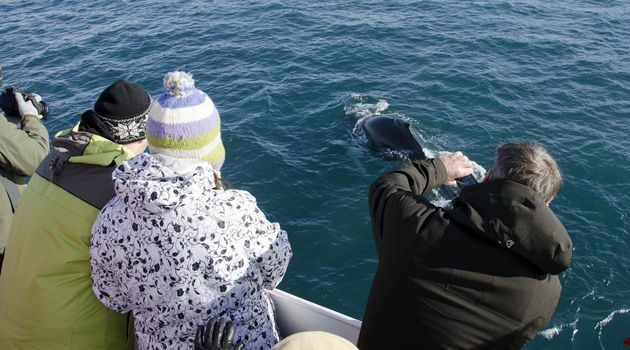 Winter whale watching is a unique experience and a whole other adventure compared to our summer tours. Each year continues to surprise us with the wildlife it offers. The low-lying sun is something not to be missed, as it casts a warm glow over the snow-capped mountains surrounding the bay, often painting the sky bright orange or pink. Explore the rich wildlife of the coast in the shadow of the surrounding stunning landscape and breathe in the fresh and crisp air of the Atlantic ocean to maximise your experience! 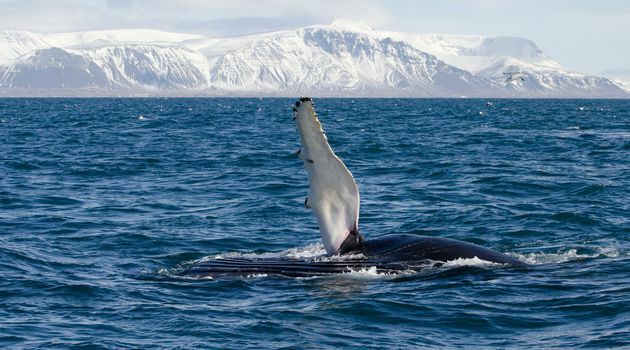 Herring and Capelin being the main prey available in our waters, it often attracts Humpback whales, Killer whales/Orcas, White-beaked dolphins and Harbour porpoises to our shores. 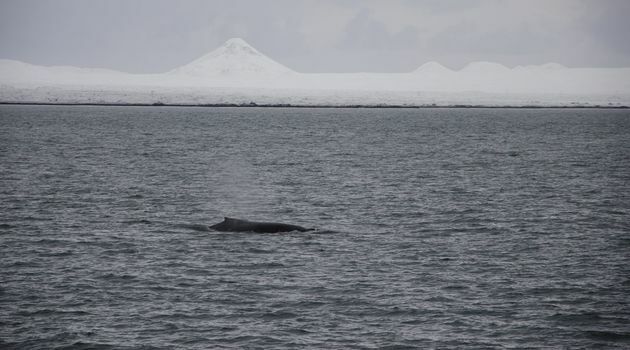 Finding the cetaceans is a team effort and so we ask all our passengers to take part in the search out on deck by scanning the horizon and pointing and shouting out their whereabouts (using the clock system). 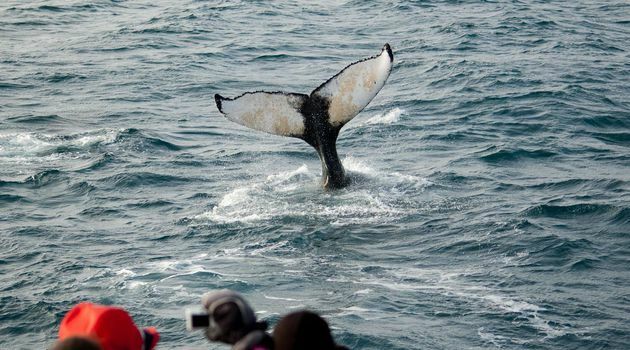 We abide by a Code of Conduct for responsible whale watching, thus each encounter is on the animal's terms and distance may be kept to minimise disturbance. 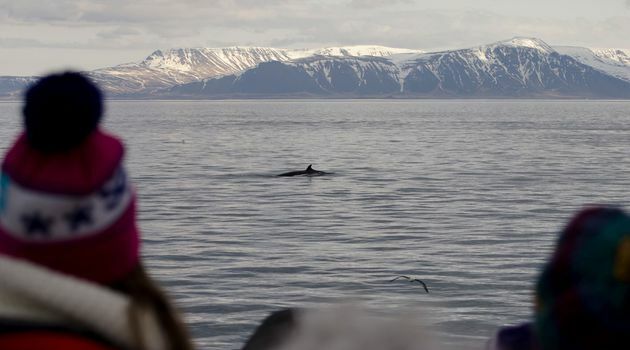 Although our success rate is high, we are working with wild animals and therefore sightings cannot be guaranteed. 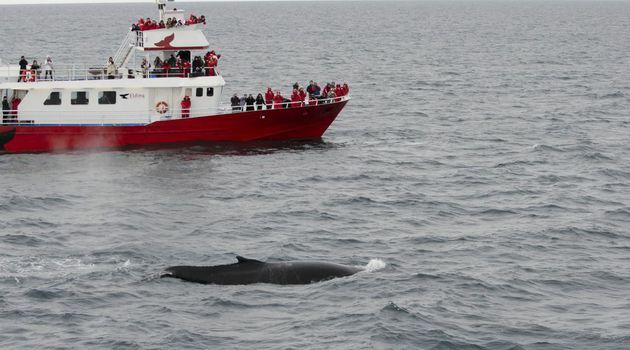 In case no whales or dolphins make an appearance on the tour we will offer you to join us another day for free. 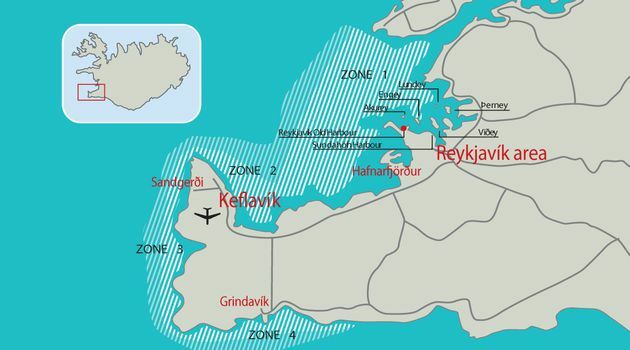 The weather and thus sea conditions can be challenging during the winter months and therefore it is good to keep in mind that we often adapt by moving our vessels to harbours of more sheltered areas situated around the Reykjanes peninsula and transport our passengers there free of charge from our base in the Old Harbour. 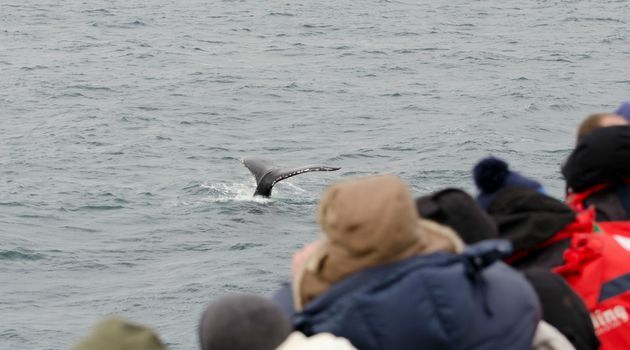 Our experience and flexibility allows for a more comfortable and reliable winter whale watching adventure, but going from other harbours means that we may need to take a bus anywhere from 20-60 min. away, where we can expect the duration of the tour to be around 3-5 hrs. in total. 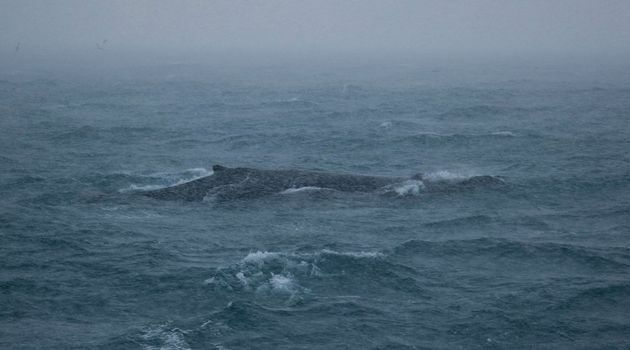 For optimal viewing and your enjoyment, this tour is subject to weather and decent sailing conditions and therefore it could get cancelled on short notice. 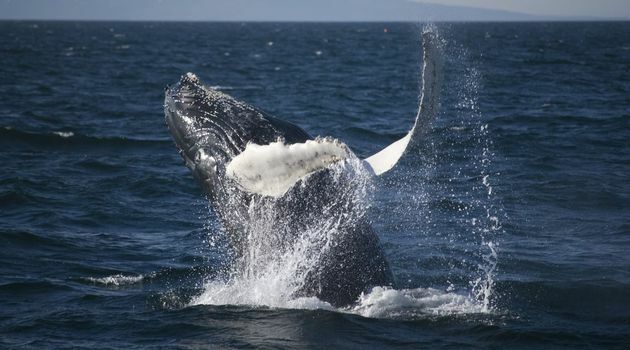 Stay updated on your tour's status or check recent sightings by having a look at our online Whale Diary. The deck on the boat can be slippery. 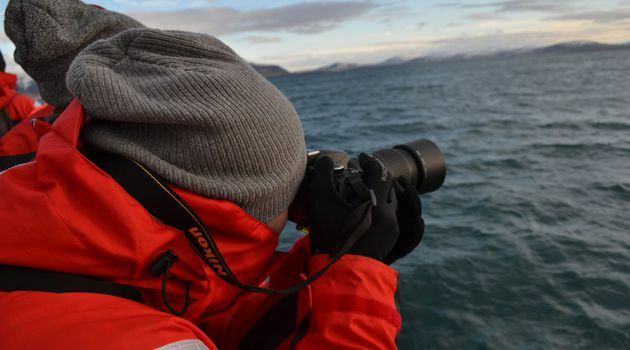 It is always colder on the water than on land so dress warm and put on the provided warm overalls when needed.